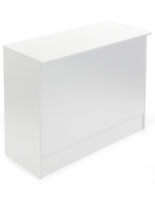 This white register stand measures 24 inches wide and stands 38 inches tall. 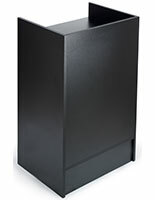 The recessed top offers a secure location for placing a cash register or other POS system for interacting with customers. 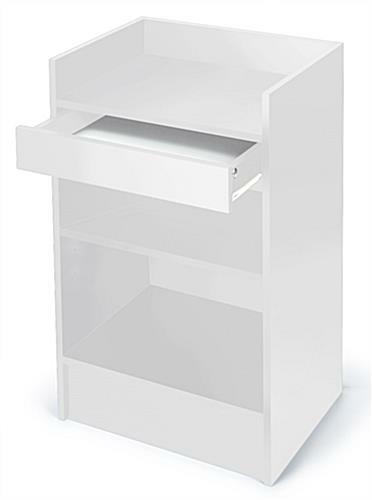 The white register stand is equipped with a pull-out drawer as well as 1 height-adjustable shelf. 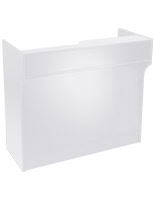 This gives users the ability to keep supplies handy yet hidden away from guests’ view. 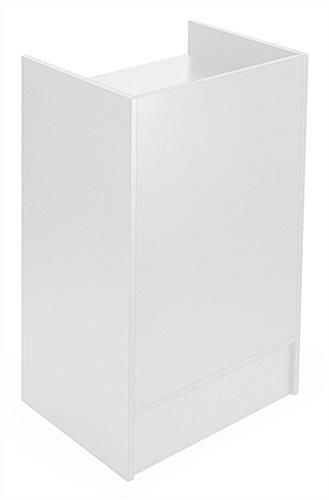 The white register stand is constructed from laminated particle board, which is durable yet more affordably priced than solid wood. 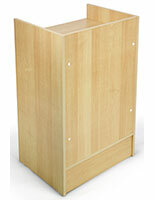 The cash wrap fixture is part of a collection. 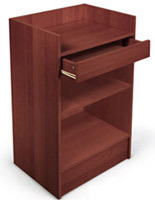 Purchase multiple pieces to create 1 cohesive presentation in your retail store.